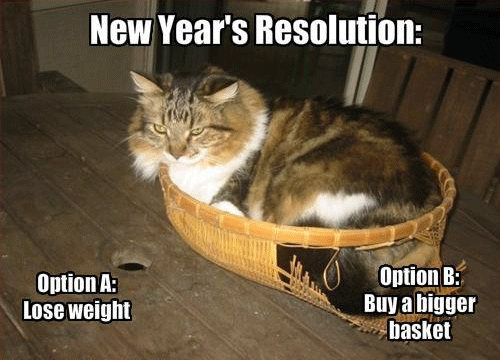 So like the title says, I don’t normally do new year’s resolutions. I generally feel like resolutions are a sure way to be depressed at the end of the year. Still, I keep making promises to myself and breaking them. Maybe having a realistic goal for the coming year will help. First, and foremost. I WILL write every single day in 2015. This is whether I feel like it or not. Whether I’m feeling sick, or tired, or just plain don’t feel like doing it. I WILL sit down at the desk every day and force out at least a few paragraphs. I have a terrible habit of procrastinating until I have no time left to write. If Grisham could finish a novel in the courtroom during recesses, I sure as hell can do it on my schedule. I daresay I could finish at least a few thousand words during the roughly six hours a night of downtime I have at work. The bonus is, after a long night of writing, my mind is usually exhausted and I sleep the sleep of the justified. The main thing though is this. Write every single day, even on my off days, sit down at the damned computer, put on my headphones and write. I also want to get healthier. Yes, I know everyone makes this one. In my case, however, I am not setting unrealistic goals. I am not expecting to become some Adonis that makes all the women swoon. I already have one of those at home that swoons no matter what I look like. Nor am I making some ridiculous claim like “I will run a marathon by the end of the year.” I would however like to be able to run down the block without getting winded. No friends, I just want to get healthier because I’m starting to worry about myself. I’m not even 40 yet and I already feel my body breaking down. The once nearly inexhaustible strength is gone. I creak when I stand up. Even more worrying is the ever present threat of diabetes. I want to live long enough to at least see my books become bestsellers. Finally, and I know I make this promise to you constantly. I am going to blog more regularly. At least once a week I think. I owe that to you guys at the very least. You have all been so supportive and the very least I can do is check in once in a while to let you know how everything’s going. Once again, if you notice I haven’t posted in a while, please call me on it. I need you guys to keep me honest. Oh, one more thing. Although I won’t be upset with myself if this one doesn’t happen. I want to be published by the end of the year. I realize I can’t control publishers or the publishing industry, but I would like to have at least a couple short stories in print. The only way I will blame myself if this doesn’t happen is if 1. I haven’t produced anything worthy of publishing, or 2. I haven’t submitted my work like crazy. That’s all I can do. The rest is up to the gods. Wish me luck. Well that’s all for now. See you next week.